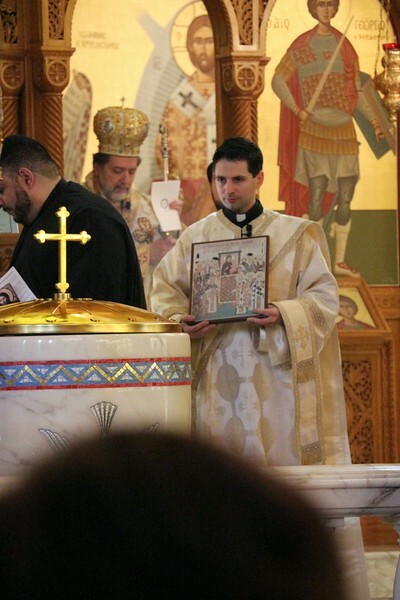 On March 9, 2014, His Eminence Metropolitan Nicholas visited the community of St. George in Southgate, MI. His Eminence celebrated the Hierarchical Divine Liturgy assisted by Fr. Anthony Cook (Proistamenos) and Dcn. Alex Radulescu. The Divine Liturgy was followed by a procession with icons commemorating the triumph of the Orthodox Faith over the iconoclast movement of the 8th century.